This charming Morston Summerhouse was recently installed at a customers’ address in Swadlincote, Derbyshire. 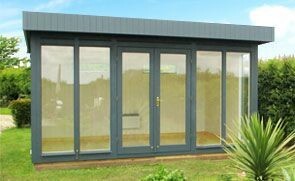 Designed and hand-built in Norfolk, the summerhouse was then delivered and installed by our expert, in-house fitting team. 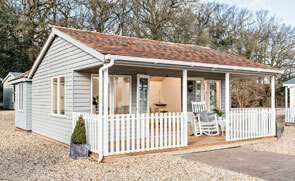 Now nicely nestled in our customers’ stunning garden, it provides the ultimate at-home retreat. One of our National Trust Felbrigg Garden Sheds was recently installed for a customer based in Swadlincote, Derbyshire. Designed and hand-built at our Norfolk factory, all of our buildings are both delivered and installed by our expert in-house fitting team who make sure that all of our customers are happy before leaving their premises. 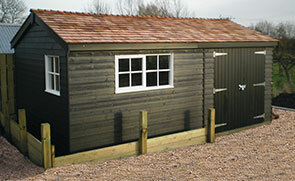 One of our Classic Sheds was recently installed for a customer based in Belper, Derbyshire. As with all of our high-quality, FSC® certified timber buildings, the shed was designed and built at our factory in Norfolk before being delivered and installed by our expert in-house fitting team. This Holkham Summerhouse was recently installed in our customer's garden in Derby and is a beautiful example of our high-quality timber buildings. 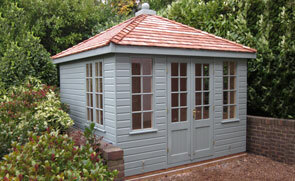 Selected from our larger range of Summerhouses, this building includes delivery and installation as standard. This attractive timber Greenhouse has been installed in a secluded section of our customer’s lovely garden in Chesterfield, Derbyshire to give them the ability to grow fruit and vegetables throughout the year.